Assistant Professor in Computer Science. 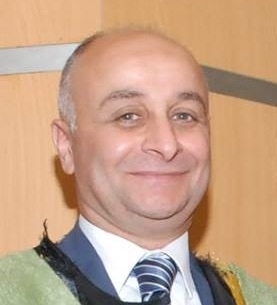 Ashraf AbdelRaouf achieved his PhD in 2012 from the School of Computer Science in the University of Nottingham UK. Graduated from the Faculty of Engineering 1988. Studied a Computer Science Diploma in 1990 at the American University in Cairo (AUC). Worked in the software and IT industries. Started teaching in AUC and Misr International University (MIU) from 1991. Now he is an assistant Professor in Computer Science. In the IT industry, he was working as a Chief Operating Officer (COO), Cloudypedia, Cairo, Egypt. Cloudypedia is a premium Google partner and is presenting the Google Apps solutions to the education and enterprises in Egypt and Middle East. His research interest is in pattern recognition specifically in character recognition, natural language processing, image processing, medical imaging, bioinformatics, Arabic linguistics and morphology. Other research interests include programming, algorithms and computer graphics.